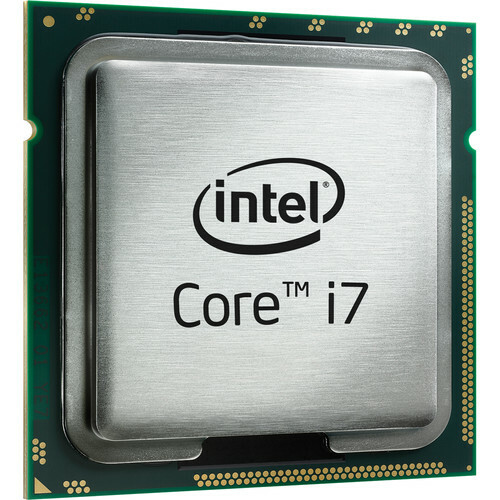 The Core i7-4810MQ 2.8 GHz Processor from Intel features 4 cores and 8 threads and is equipped with 6MB cache. This processor supports PCIe revision 3.0 in x16, x8, and x4 configurations. It features Intel InTru 3D Technology, Intel Clear Video HD Technology, Enhanced Intel SpeedStep Technology, Thermal Monitoring Technology, and more. Intel Quick Sync Video delivers fast conversion of video for portable media players, online sharing, and video editing and authoring. Intel InTru 3D Technology provides stereoscopic 3-D Blu-ray playback in full 1080p resolution over HDMI 1.4 and premium audio. Intel Insider delivers premium HD content to an Ultrabook or PC. Intel Wireless Display is a technology that enables wireless streaming of movies, photos, websites, and more from an Ultrabook or PC to an HDTV. The Intel Flexible Display Interface allows for two independently controlled channels of integrated graphics to be displayed. Intel Clear Video HD Technology delivers high definition quality playback for a rich entertainment experience. Intel Turbo Boost Technology 2.0 dynamically increases the processor's frequency as needed, by taking advantage of thermal and power headroom to give you a burst of speed when you need it, and increased energy efficiency when you don't. Intel vPro Technology is a set of security and manageability capabilities built into the processor, aimed at addressing four critical areas of IT security: threat management (including protection from rootkits, viruses, and malware), identity and web site access point protection, confidential personal and business data protection, and remote and local monitoring, remediation, and repair of PCs and workstations. Intel Virtualization Technology allows one hardware platform to function as multiple "virtual" platforms. It offers improved manageability by limiting downtime and maintaining productivity by isolating computing activities into separate partitions. Intel Virtualization Technology for Directed I/O continues from the existing support for IA-32 (VT-x) and Itanium processor (VT-i) virtualization, adding new support for I/O-device virtualization. Intel VT-d can help end users improve the security and reliability of systems, and also improve performance of I/O devices in virtualized environments. Intel VT-x with Extended Page Tables, also known as Second Level Address Translation (SLAT), provides acceleration for memory-intensive virtualized applications. Extended Page Tables in Intel Virtualization Technology platforms reduce the memory and power overhead costs, and increase battery life through hardware optimization of page table management. Intel Transactional Synchronization Extensions New Instructions are a set of instructions focused on multi-threaded performance scaling. This technology helps make parallel operations more efficient via improved control of locks in software. Intel 64 architecture delivers 64-bit computing on server, workstation, desktop, and mobile platforms when combined with supporting software. Intel 64 architecture improves performance by allowing systems to address more than 4GB of both virtual and physical memory. Idle States (C-states) are used to save power when the processor is idle. C0 is the operational state, meaning that the CPU is performing useful tasks. C1 is the first idle state, C2 the second, and so on, where more power saving actions are taken for numerically higher C-states. Thermal Monitoring Technologies protect the processor package and the system from thermal failure through several thermal management features. An on-die Digital Thermal Sensor (DTS) detects the core's temperature, and the thermal management features reduce package power consumption (and thereby temperature, when required) in order to remain within normal operating limits. Intel Identity Protection Technology is a built-in security token technology that helps provide a simple, tamper-resistant method for protecting access to your online customer and business data from threats and fraud. Intel IPT provides a hardware-based proof of a unique user's PC to websites, financial institutions, and network services, thus providing verification that it is not malware attempting to log in. Intel IPT can be a key component in two-factor authentication solutions to protect your information. Advanced Encryption Standard New Instructions (AES-NI) are a set of instructions that enable fast and secure data encryption and decryption. AES-NI are valuable for a wide range of cryptographic applications, such as applications that perform bulk encryption/decryption, authentication, random number generation, and authenticated encryption. Intel Secure Key consists of a digital random number generator that creates truly random numbers to strengthen encryption algorithms. Intel Trusted Execution Technology for safer computing is a versatile set of hardware extensions to Intel processors and chipsets that enhance the digital office platform with security capabilities, such as measured launch and protected execution. It enables an environment where applications can run within their own space, protected from all other software on the system. Execute Disable Bit is a hardware-based security feature that can reduce exposure to viruses and malicious-code attacks, and prevent harmful software from executing and propagating on the server or network. Intel Anti-Theft Technology helps keep your laptop safe and secure in the event that it's ever lost or stolen. Intel AT requires a service subscription from an Intel AT-enabled service provider. Note:*These features may not be available on all computing systems.